High school students and recent graduates often struggle to find an ideal place to continue their studies. The possibilities feel limitless, and the decision can become overwhelming. 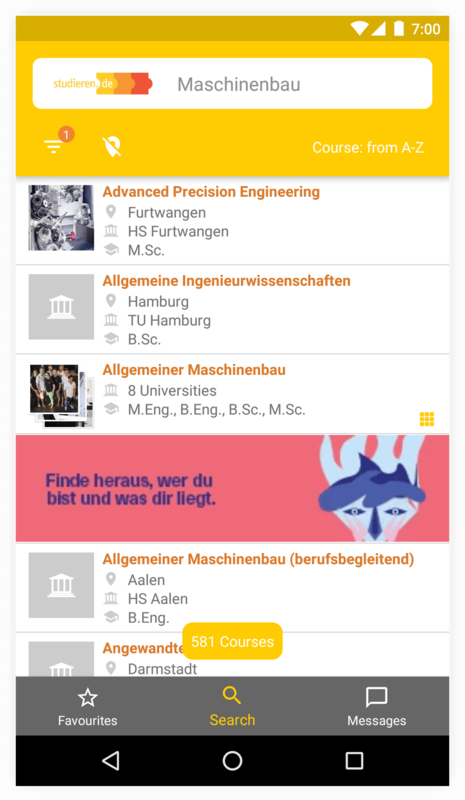 With the Studieren.de app, the search process is manageable, simple, and intuitive, helping to guide students to the study program that will best meet their individual needs. 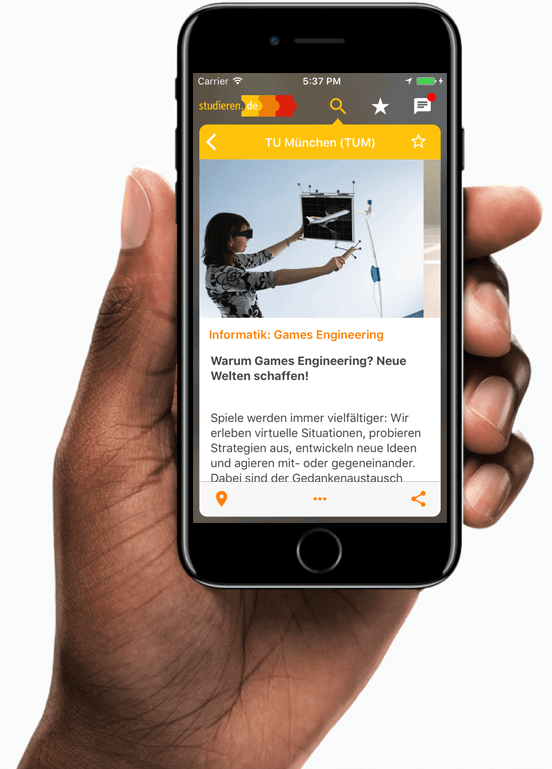 The Studieren.de app brings the full web experience to life on mobile device, allowing students to explore over 19.000 programs at 660 locations. 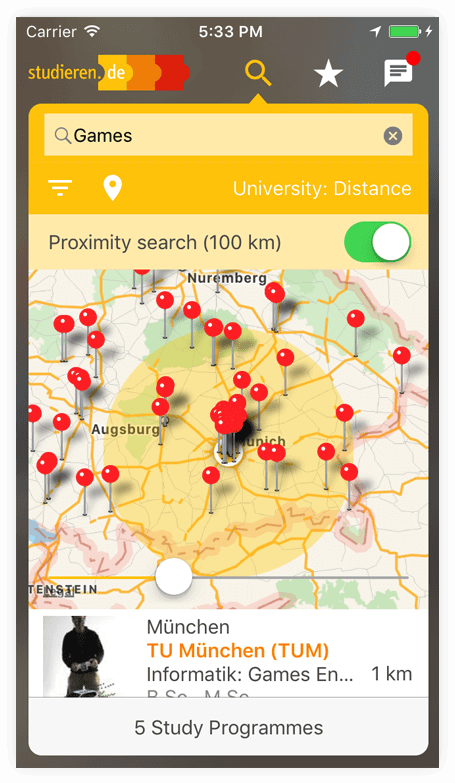 The app’s smart search engine and filtering options allow users to specify topics, degrees, locations, and additional characteristics to narrow down the possibilities to a more manageable list of options. 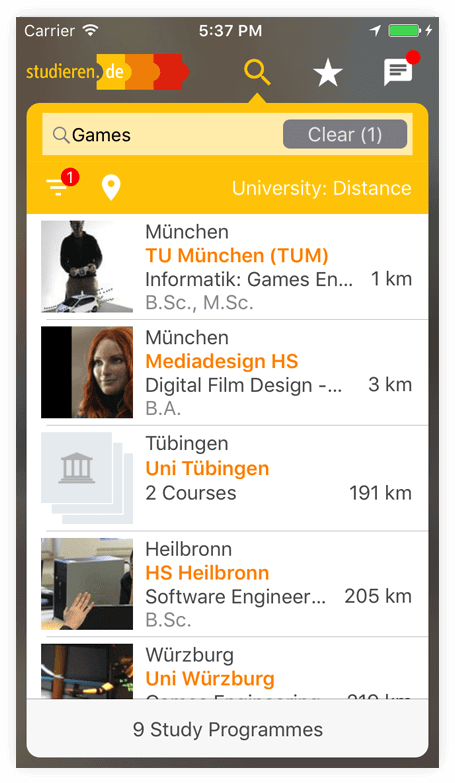 Detailed information about each university and study program creates a fuller picture to allow users to compare, contrast, and ultimately discover their dream program. 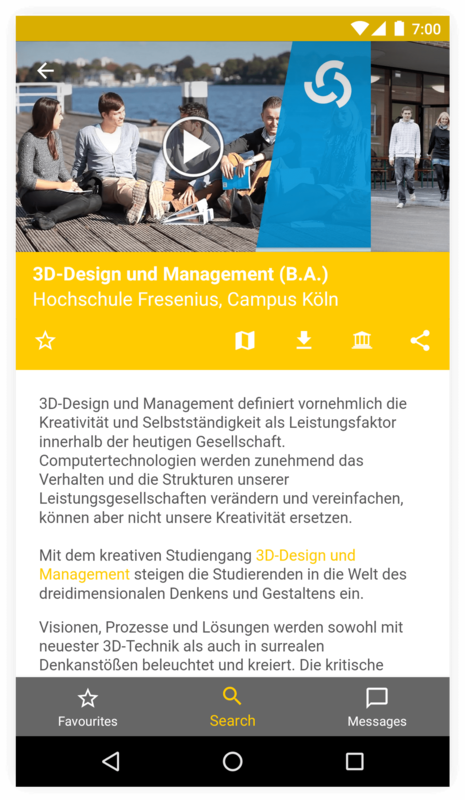 Since 1997, Studieren.de has been Germany’s first and leading web portal for study orientation. We brought their web portal to life on mobile devices by developing a native iOS and Android app. The sheer volume of 19.000 study options created a daunting design challenge. We solved it by grouping the results and by integrating a wide range of available filters and sort options. We often sat in brainstorming sessions with Studieren.de’s CEO, Valentin, to imagine the possibilities and technical feasibility of feature options. These sessions – and our close collaboration – allowed our team to bring the app to life in a well-arranged manner with an intuitive user experience, optimized to match Android and iOS standards while keeping the brand character alive. 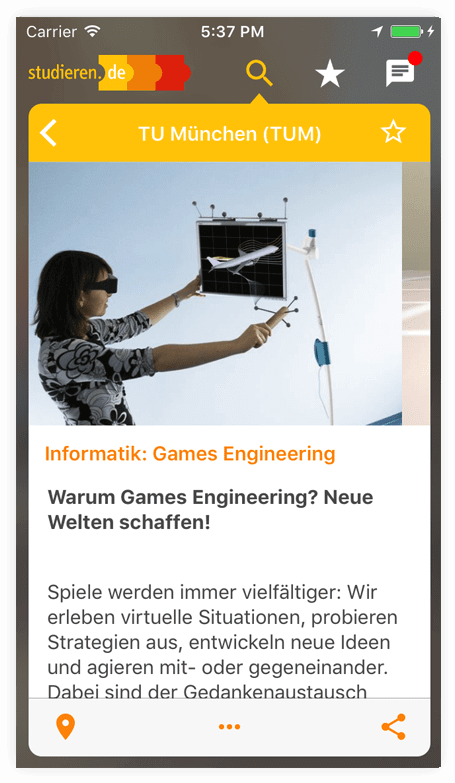 We continue to support Valentin and his team with our technical know-how to integrate new app features when needed.